Cannot say enough positive comments. The total price paid was very fair and delivery was very prompt both days. Everything went smoothly from beginning to end. Jensen Moving did a fantastic job. Everything went smoothly from beginning to end. They were professional, fast, polite and friendly. The movers took great care with my items. I would definitely use them again. Andrew, Antonio and Eddie were the absolute best! The service was highly professional and they were a joy to work with. Highly recommend this trio. They did an excellent job. Very professional. I will Hite them for next move. Loved these guys. Could not move it all today but will be using them again in a few weeks! Thanks! Great job by all the guys. Perfect! Drew and John were very professional during my move. Would highly recommend them and Jensen Moving! Three Christmas angels appeared at my door to help us move. It was Christmas Eve day, nothing had gone right up to today since we moved from Kentucky. Journey to here for myself and my disabled veteran husband, has been unbelievably difficult. Then three Christmas angels appeared at my door to help us move. 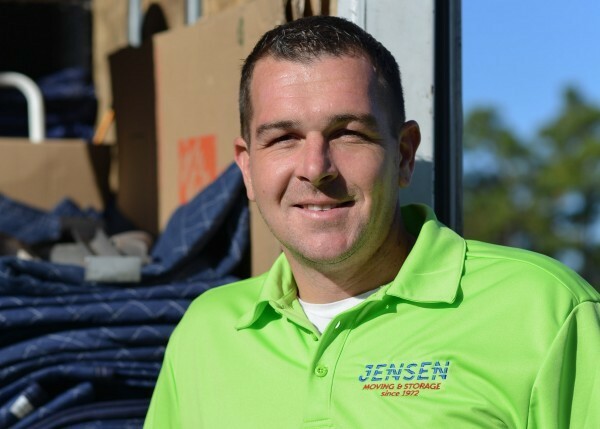 No words to describe how thankful we are to have had Jensen Moving & Storage come to our rescue. They worked so hard and handled every item as if they were caring for their own personal property. Also went above and beyond to assist my husband with everything. Would definitely recommend them for any type of move needed. No matter what happens, we have a solution for you. trust us.